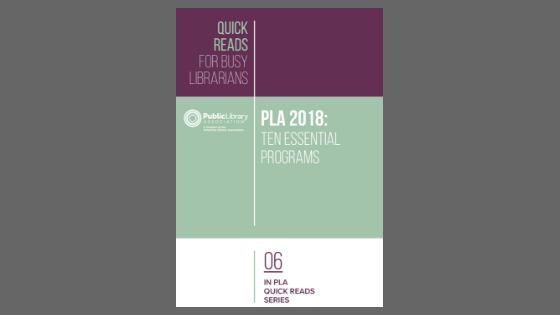 PLA 2018: Ten Essential Program is the sixth installment in PLA’s “Quick Reads for Busy Librarians” series. Books in the Quick Reads series are under 100 pages and covers topics deemed essential to modern public library workers. PLA 2018: Ten Essential Programs consists of ten articles highlighting educational programs that took place at the PLA 2018 Conference. 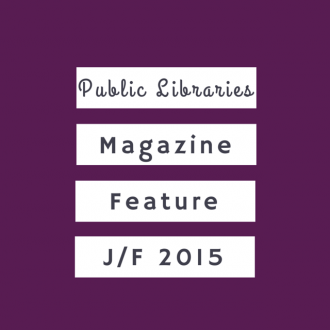 Filled with instruction, advice, and knowledge from some of the field’s more innovative thinkers, the publication covers everything from serving persons experiencing homelessness in your makerspace to reaching children with barriers to access to anti-racist librarianship and more. 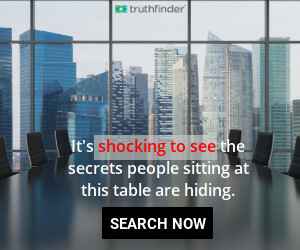 It is currently available for download by PLA members (PDF, 58 pages) from the PLA Member Library (login required) which is located here, under the Browse tab. You are welcome to make one printed copy, though we ask that you do not post the file to any website or share the electronic file in any way. Other Quick Reads publications available free of charge to PLA members include Taking Care of Business in the 21st Century; Get Inside: Responsible Jail and Prison Library Service; and Building and Operating a Digital Media Lab. The Quick Reads publications are all available for sale to nonmembers, via the order form located here.